As discussed a few weeks ago, I’ve realized that while my content is intended for advanced Facebook advertisers, many of those who read these pages or receive my emails are actually beginner or intermediate advertisers. I wanted to create something for those groups without impacting my blog content. While effective, I’ve found that people aren’t always honest with themselves about how advanced they are. They’re likely to indicate they are advanced when they are truly intermediate, or intermediate when they are truly beginners. Not surprisingly, the quiz results show that far more people are intermediate and beginner than advanced. Based on a person’s performance on the quiz, I’d funnel them to the appropriate webinar. I intentionally made it a chore to get access to each webinar registration page. But now, for the first time, I am publicly revealing each free webinar registration pages. Each of these webinars have been conducted once so far. Eventually, I plan for them to all occur live every month. 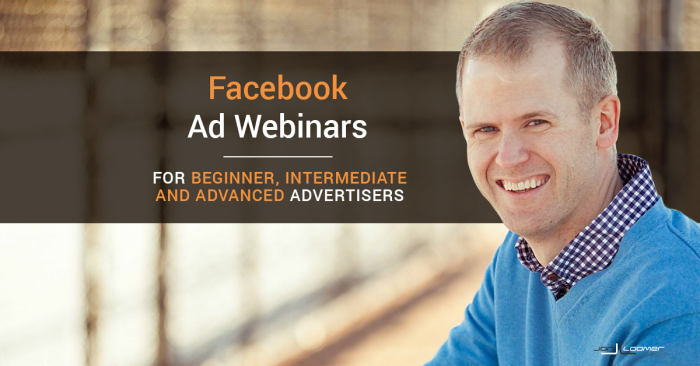 I structured this webinar with the understanding that my audience had minimal experience with Facebook ads. They may have boosted posts, but they have done little else. The most common question I received from people taking my 30-question quiz was, “What are the answers? ?” So I decided to dive into the answers of 10 questions during each of the webinars. I not only provide the answers to these questions, but I dig deeper and provide examples to clarify any misconceptions. We’re dealing with beginners in this webinar, so it’s important we start from the beginning. Before we get started, you need to understand how the news feed works and your role within it. The purpose of the news feed is to surface content that users will find most interesting. It is not to screw marketers and force them to pay. It’s just that our content is far too often less interesting. During this portion of the webinar, I guide you through a basic understanding of how the news feed works and some expectations. You can’t look at Facebook and the algorithm as your opponent or you will never find success. The vast majority of advertisers are only considered advertisers because they’ve clicked the boost button. They’ve yet to venture into the wonderful world of creating an ad from the ground up. In this section, I break down the differences between the boost button, ad create tool and Power Editor. I help you understand what you can and can’t do with them as well as why you might use each one. Targeting is the number one reason why an ad succeeds or fails. It’s also where beginner advertisers struggle most. I break down my targeting priority list and guide you briefly through how to use each option. I get plenty of questions on these webinars, and I provide between 20 and 30 minutes to answer questions you may have. If you consider yourself a beginner advertiser, click the button below to register for the next available session. Intermediate advertisers have moved beyond the boost button. They have probably even experimented with Power Editor, though that isn’t always the case. The main thing is that they have significant experience with ads without feeling confident with the most advanced topics. Our goal is to help guide this group to the advanced level. 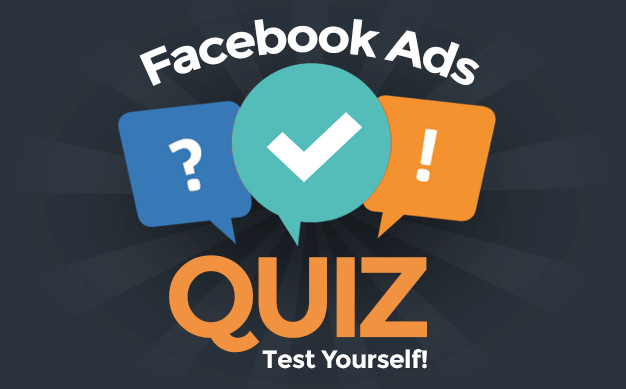 Once again, the first 10-15 minutes covered answers to 10 questions from the Facebook ads quiz. Lead ads are a great way to collect leads inexpensively without sending users to your website. However, it’s not a beginner strategy, and it’s something that even the intermediate advertiser struggles with. During this section, I explain what lead ads are and how best to use them before going into the step-by-step details of setting them up yourself. If you want to do any of the good stuff — remarketing, optimizing or tracking — you need to have the new Facebook pixel on your website. But this is likely the most intimidating topic for the intermediate advertiser. I go into the details of why you need the pixel and how to set it up. I also discuss using it for Website Custom Audiences, Dynamic Ads, Custom Conversions and Standard Events. And of course there’s a Q&A session at the end. If you consider yourself an intermediate advertiser, click the button below to register for the next available session. Maybe you already use Power Editor exclusively, if not a third party tool, to manage your Facebook ads. Maybe you’re spending thousands of dollars per month and have extensive experience with remarketing, Dynamic Ads, Lead Ads, evergreen campaigns and more. In that case, you’re an advanced advertiser. I first step through the final 10 questions from my quiz, explaining the answers for each. You may be aware of this recent update. It’s a big one, and I’m excited about it! I go into detail regarding how advertisers can (or will be able to, depending on if you have it yet) create audiences based on frequency and quality of actions on your website. I also go through how I’m using this and provide some early results. This webinar is actually the first time I discuss the steps for creating Dynamic Ads. If this is something you’ve considered doing, check out this webinar. There were more questions from this webinar than the others, given the advanced nature. Lots of great discussion came from it. If you consider yourself an advanced advertiser, click the button below to register for the next available session. I have also created 4-week training programs for beginner and intermediate advertisers. For now, I am keeping these groups small. But if you’re interested in signing up for either one, feel free to contact me for details. I am not creating a 4-week training program for advanced advertisers since that’s what the Power Hitters Club is for. Have questions about any of these webinars?